Upper Shaver Falls, alternately known as Upper Filman Falls, is a combination of a Classic Falls and Cascade. 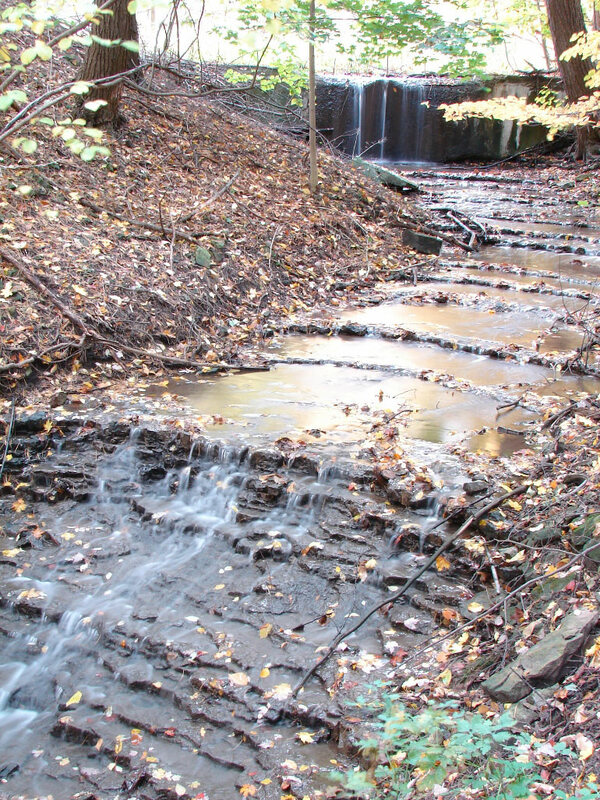 It has two components to it: a partially manmade upper section with a vertical drop and a lower cascade section. The total height of both sections is 3 metres (10 feet) and the crest width of the upper section is 3 metres (10 feet). 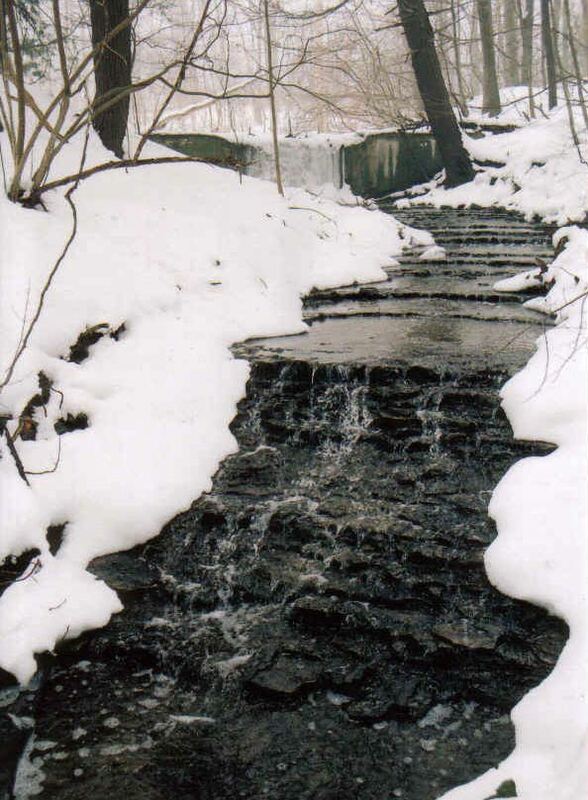 It is located on a tributary of the Ancaster Creek, and experiences best flow during seasonal rainfalls and during the winter snow melt. 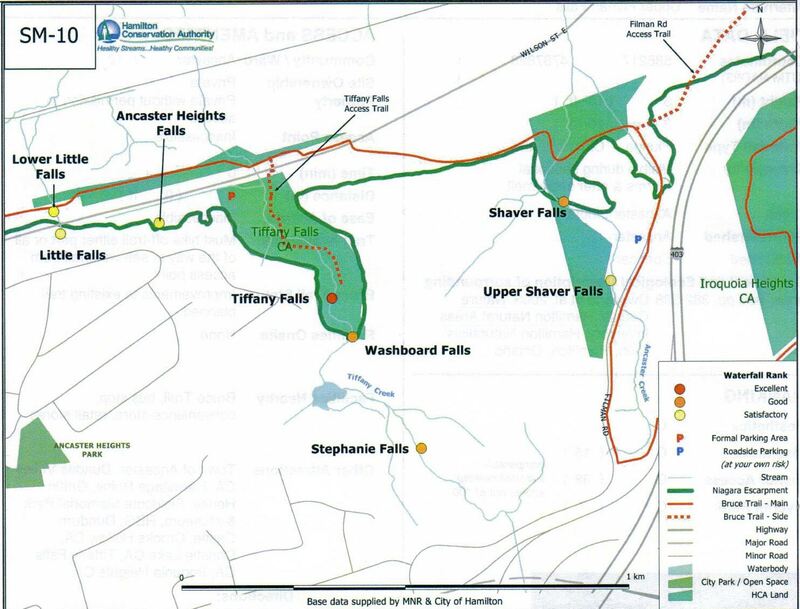 Upper Shaver Falls was “discovered” by Nadeem Paracha of the Hamilton Conservation Authority in 2005. It is located upstream of Shaver Falls on lands originally owned by the Shaver Family in the 1800’s, hence the name. On this page is a photo of Upper Shaver Falls taken by Nadeem Paracha when he was with the HCA. In the photo is Bill Crawford who was helping Nadeem in locating the waterfalls in 2004/2005. 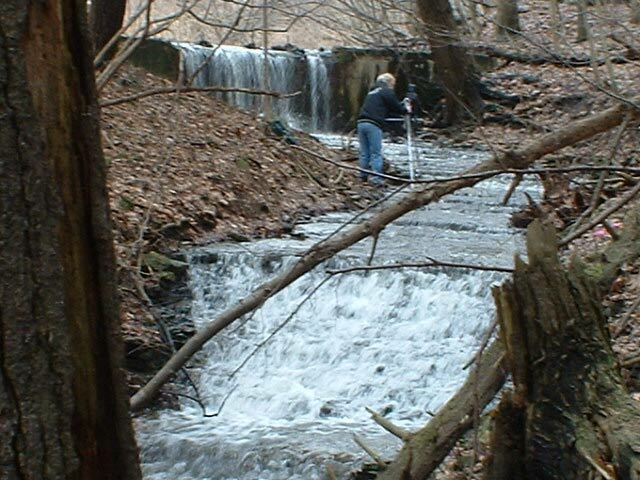 Bill has since passed away and this is the only photo that we have of him at a waterfall site. It is not easily accessible by following the creek upstream of Shaver Falls. The easiest way to reach it is from Filman Road in Ancaster. 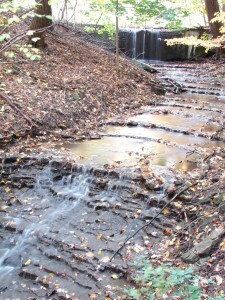 It is located 50 metres west of Filman Road on the last stream just before the dead end section of Filman Road. It is, however, located on private property and permission from the owner should be obtained. Map with Shaver Falls and surrounding waterfalls.